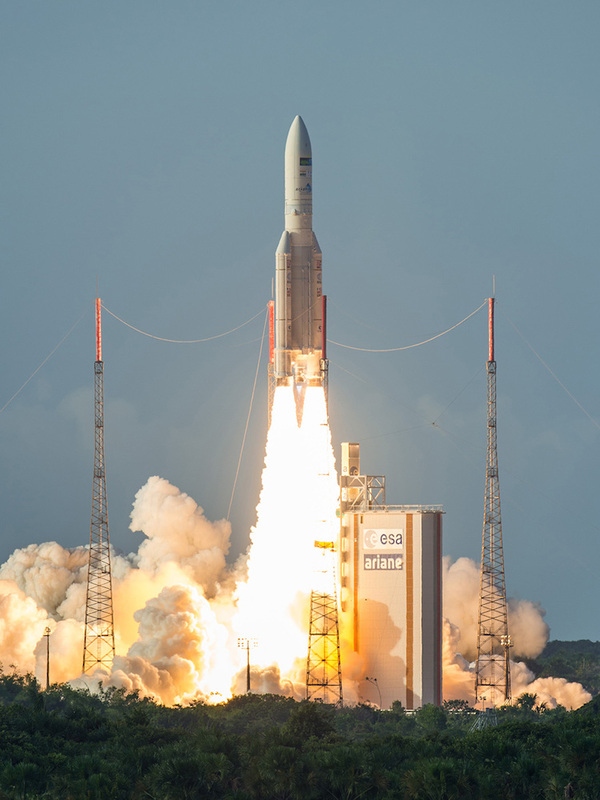 Australia’s National Broadband Network (NBN) Sky Muster II satellite has been successfully launched into space. 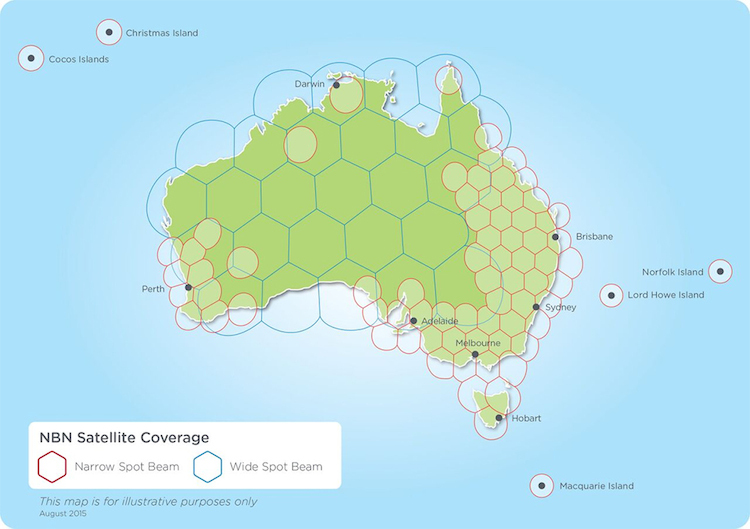 Sky Muster II joins Sky Muster I in providing high-speed internet to the Australian continent as well as Norfolk, Christmas, Macquarie and Cocos islands. The satellites were also earmarked for delivering on-board wi-fi for Qantas. The launch of Sky Muster II some 36,000km into space was conducted by Arianespace at the Guiana Space Center in Kourou, French Guiana, South America. nbn co, the government body charged with rolling out the national broadband network, said Sky Muster II, built by Palo Alto, California-based SSL (Space Systems Loral), would undergo some technical testing before it was full operational. “Today’s successful launch of Sky Muster II completes the final chapter in delivering our satellite service which is already revolutionising the face of regional and rural Australia,” nbn co chief executive Bill Morrow said in a statement. Sky Muster II was one of two satellites launched into space on Wednesday alongside the Indian Space Research Organisation’s GSAT-18 satellite. 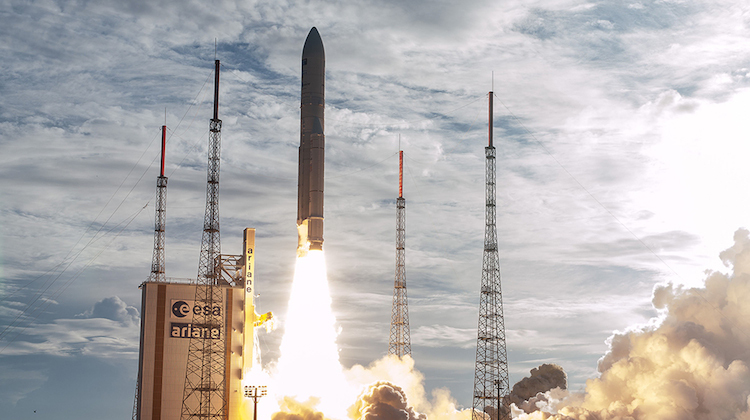 It was Arianespace’s 74th successful mission in a row. “We are especially honoured to have been chosen by the Australian operator nbn to launch both its satellites,” Arianespace chairman and chief executive Stephane Israel said in a statement. Qantas announced in February plans to equip its domestic fleet of Boeing 737-800s and Airbus A330s with internet wi-fi, with connectivity to be provided by ViaSat’s global satellite network and the National Broadband Network’s Sky Muster satellites. The airline was scheduled to conduct a trial on board a 737 prior the end of 2016, ahead of a rollout of the technology across the 100-odd aircraft in 2017. The oneworld alliance member planned to offer the service free for all passengers. Qantas chief executive Alan Joyce has said previously the satellites, which use the high capacity Ka-band, would deliver internet speeds 10 times faster than conventional on-board wi-fi. And in August, Joyce said the airline was also considering offering wi-fi on regional and international aircraft. “We’re in the final stages of scoping wi-fi for our QantasLink fleet of 717s, F100s and turboprops, as well as our international fleet,” Joyce said. Meanwhile, Virgin Australia in July said it would offer internet connectivity on its 737, 777-300ER and A330 fleet from mid-2017. However, the carrier was yet to announce details about the technology it would use, the pricing model and any potential partners for the service. And separately on Thursday, Air New Zealand announced its international and domestic jet fleet would be progressively equipped with wi-fi from 2017 utilising the Inmarsat new global GX satellite constellation. “Proving flights will begin in the second half of 2017 and world-class internet services progressively available on Tasman, Pacific Island and long haul jet fleets from the end of next year,” Air New Zealand chief executive Christopher Luxon said in a statement on Thursday. “Given Air New Zealand operates some of the longest flights in the world, and in oceanic areas where there has historically been poor quality satellite service, we have patiently worked with partners until comfortable that a service which meets the high expectations of our customers is available. “Our new system will also allow us to enhance real time features within our state of the art Inflight Entertainment System as well as providing our flight crew with an enhanced ability to manage customer requests related to their ground travel. Luxon said trans-Tasman services would be the first to receive wi-fi, followed by the rest of the international jet fleet. Domestic jet services would offer wi-fi from 2018. The airline planned to have wi-fi as a gate-to-gate” offering on its flight. Pricing details were not disclosed. Aviation Week journalist Adrian Schofield said Air New Zealand’s proving flights in the second half of 2017 would be on a new Airbus A321neo and refitted Boeing 777-300ER. Meanwhile an opportunity to launch a SBAS for Australia (and the nearby region) has been lost… twice! The beam Patten looks much like IPSTAR* its fine for most, but if your roving or like an SNG operator, its pretty much useless unless you want to pay for a separate account for each beam you hit. Roving SNGs connect to broadcast satellites only and on interim payload slots, the skymaster is purely for end user and some corporate internet access. It does not have broadcast transponders.